Seth Rogen is 32 years old. He looks older. He’s been around long enough to feel older. And he seems to be making career decisions — like an interest in playing Steve Wozniak in Aaron Sorkin’s developing Steve Jobs biopic — that suggest a perspective you don’t usually land on until just shy of the 40-year mark. 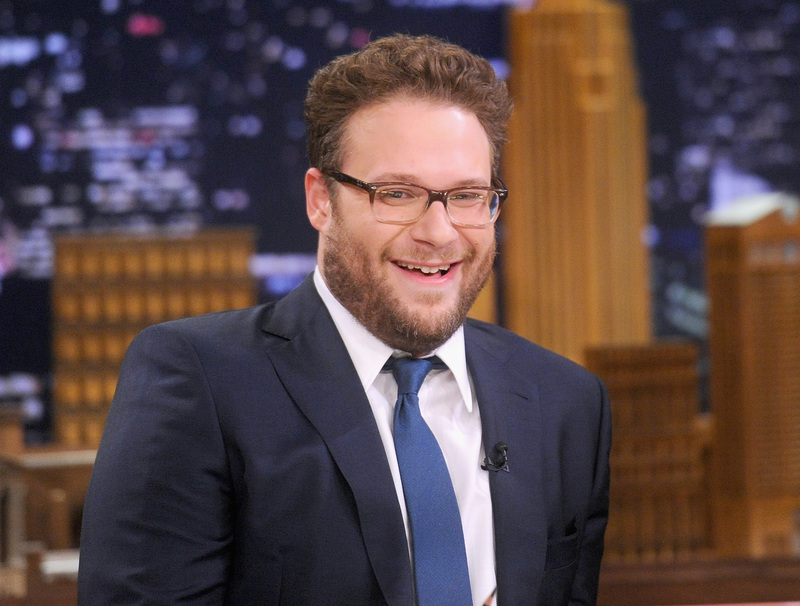 But Rogen’s shtick, generally speaking, has been that of a young man. He founded his notoriety on playing “the boy.” The affably immature, bawdy rascal drawn from the tradition of his Judd Apatow adjacent predecessors: Adam Sandler, Will Ferrell, and 40-Year-Old Virgin co-star Steve Carell. Though Rogen has deviated from the trope a fair sum of times already, his goofball reputation maintains. But a gig as computer genius Woz in a Sorkin/Danny Boyle biography picture could at last kick him free of his Knocked Up connotations. And that emancipation is one of dire importance, both to Rogen and to pop culture in general. Right around now, Rogen is shifting out of the stage in which the foul-mouthed self-saboteurs gambit can still be dubbed endearing. That said, he seems to be an anomaly in the community of actors who’ve operated under similar regimes (those parties mentioned above, plus a league of less successful examples) in his apparent interest to relinquish himself from its command. Long past the expiration date of their boyish charms, Sandler, Ferrell, et al have continued to play the childlike buffoon, relegating commercially unsuccessful dramatic efforts to the backdrop of their careers as they continue to pursue the same formulaic silliness year after year. To call it silliness, in fact, would be misleading. Upholding these qualities miles past the entryway into distinguishable adulthood is to decry all the responsibilities therewith. Just as Carell’s continued willingness to play the idiot suggests his and our country’s tacit endorsement of pervasive male ignorance, so too does the courier of the frat boy persona that incepted the fame of Sandler, Ferrell, and Rogen into each actor’s work beyond age 40 seem to excuse these characters’ patterns of selfishness and chauvinism and thus fool the audience into viewing it as acceptable grown-up behavior. In contemporary Sandler pictures, these aren’t the follies of dimwitted youth, as they once might have been interpreted. They’re the quirks of the lovable, loud-mouthed man. Now, Rogen is not exactly slipping away from the world of comedy — or even from the raunchy comedy on which he built his stardom a decade past. But one could very well take note of a gradual incline in maturity of his characters and the themes they represent. His most recent film, Neighbors, featured Rogen as a parent bent on preserving placidity in a screwball war against unruly college boys. Last year, his directorial debut This Is the End featured Rogen in a story about the sensitive dynamics of adult friendships. Granted, he and co-writer/helmer Evan Goldberg surrounded the central storyline with wacky set pieces and ferocious demons, but the heart of the piece represented at the very least a stepping-stone. And these are hardly the best examples of Rogen’s play for the sophisticated. His first real meaty role came way back in 2009’s Funny People — ironically enough, opposite Sandler, the very party whose otherwise rather orthodox devotion to the infantile pioneered this skewed perception on male regression back when he won laughs aplenty chasing an imaginary penguin around the lawn of a mansion. Since Funny People, Rogen has done tremendous dramatic and cerebral work in movies like 50/50 and Take This Waltz. Without enough of a spotlight on any of these pictures, he has remained concretely within his stoner comic margins. But a high-profile project like a Christian Bale-led Steve Jobs movie could be exactly the trick to let the world know: Seth Rogen is an adult. One not beheld to the celebration of suspended adolescence and emotional violence, bodily functions and female objectification. One, instead, who has opted to outgrow such things and champion the superior nature of priorities like insecurity (Funny People), fear (50/50), loss (Take This Waltz), relationships (This Is the End), and parenthood (Neighbors), and who should be lauded for such. You’re still a young man, Seth, but you’re clearly wise beyond your years.